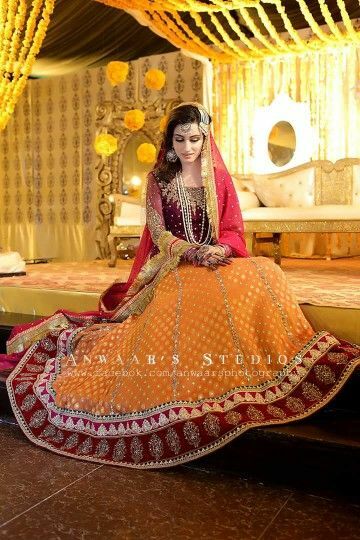 The most popular designs for the bridal mehndi dresses of 2019 are now up in the market. In Pakistan, the mehndi or mayoun are traditionally celebrated with full zeal and zest. Men wear kurta shalwar and girls wear multi-color dresses including lehenga and sharara along with yellow dupatta. 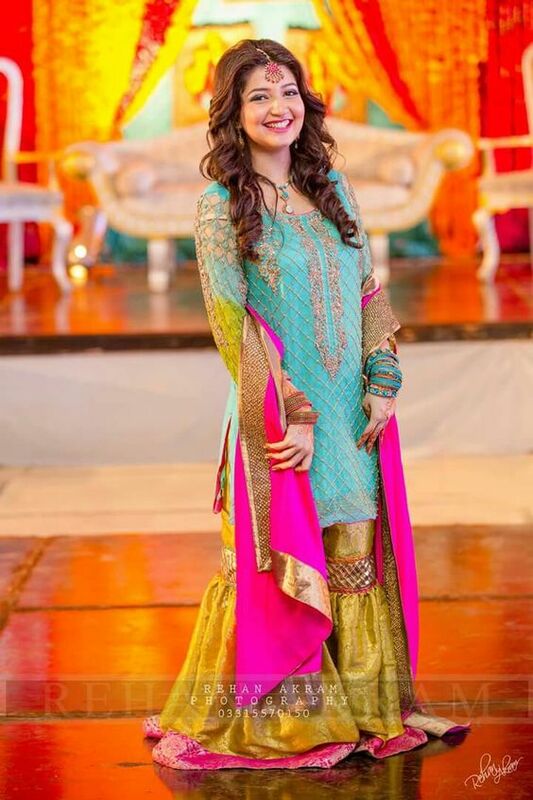 Pakistani brides mostly use to wear sharara and lehenga on their mehndi day. It is the most common and trendiest among all wedding circles. 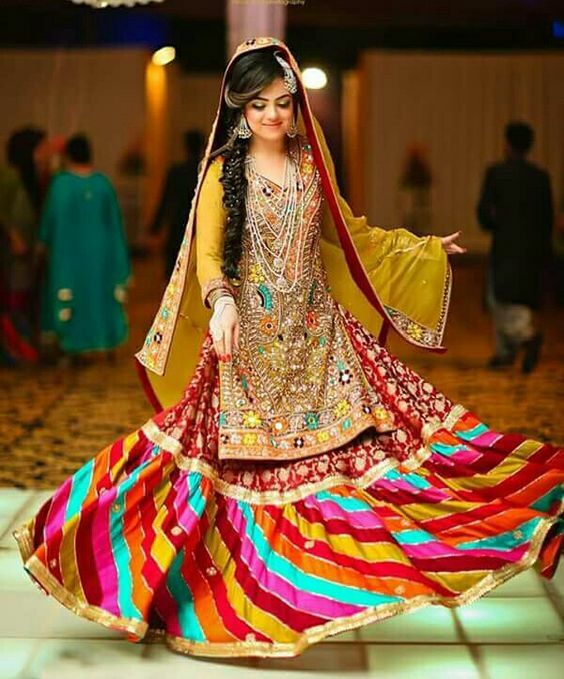 In Pakistan’s latest trends of 2019, frocks and ghagra cholis are also so popular. These are basically the colors of our traditions and conventions. Bridal dress design selection totally depends upon the family own customs and practices. So people rely on their own past experiences and preferences. 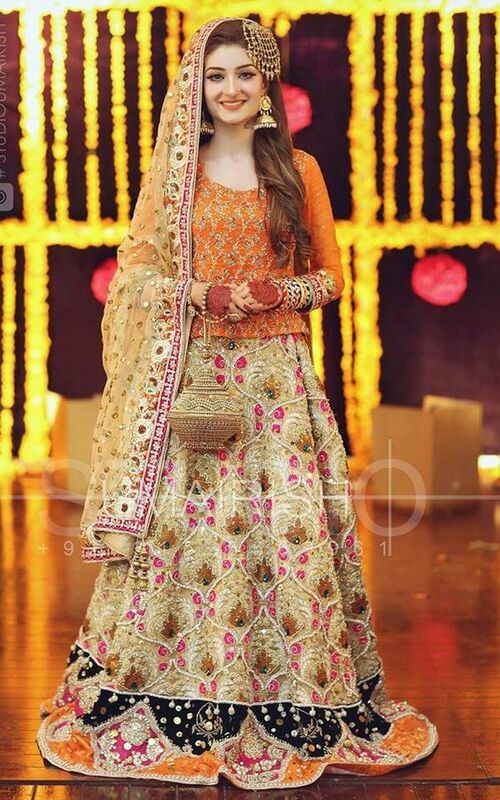 We will make you aware of Pakistani designers wedding dresses 2019 collections prescribed according to the latest trends for marriage ceremonies. Here, we will share the latest and most popular designs for bridal mehndi dresses. 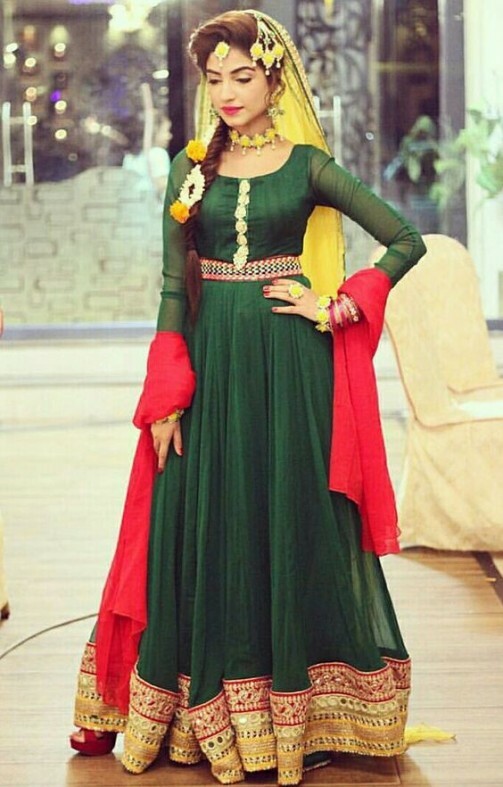 The multi-hued dresses for mehndi are the main choice for women and girls. Now the girls have a large and latest collection of 2019 for their bridal mehndi dresses. Dark color combinations are preferred for this cheerful event. Mostly green, yellow, white, pink, orange and magenta color dresses are being used for this event. The shades of these colors are used in an convoluted sequence which brighten up the whole dress. Other than lehenga and sharara, frocks and cholis combination is also perfect. The glowing colors of bridal dresses makes her look engaging and compelling. Mehndi is the most exuberant and delightful event in any wedding. It’s being liked due to its amusing traditions and fascinating outfits. It’s the most colorful and captivating ceremony . The decoration of hands with henna is also a mandatory part of this function. So to have an idea of latest bridal dress designs, you can check out our latest mehndi designs for brides and girls. This is some quick overview of this article. Now we will discuss all the bridal mehndi dress designs in detail. The latest Pakistani collection 2019 of mehndi lehenga and sharara for bridal attire in now launched by prestigious Pakistani dress designers. 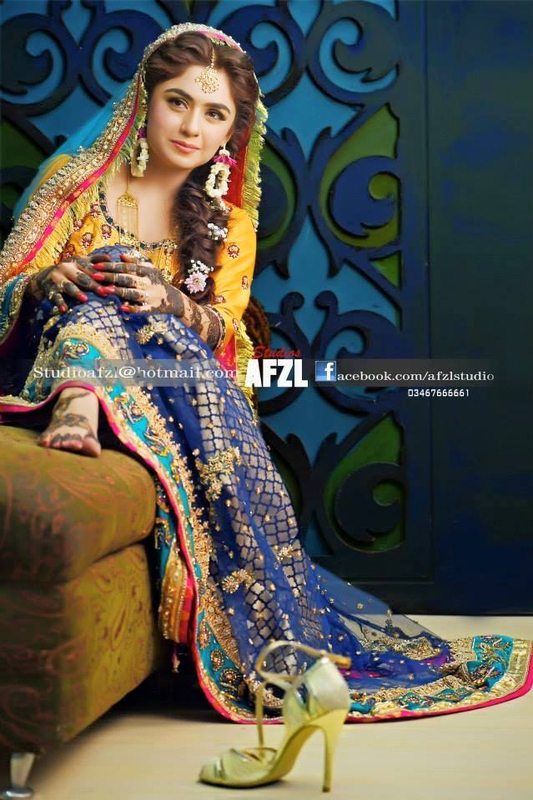 The designers like Maria B and Zainab Chottani collection for mehndi dresses is also present now a days. 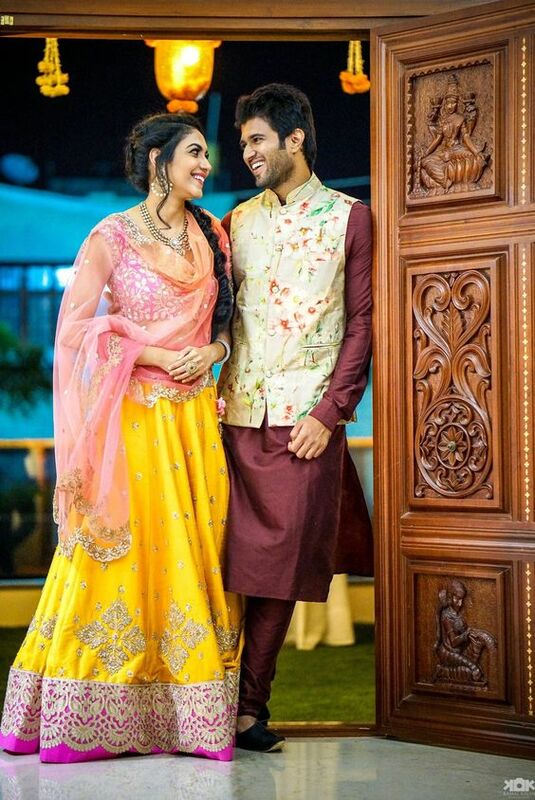 Brides have options in dressing style either they want to wear a multi-hued lehenga and sharara or want to go with a simple uni-colored shiny dress. It totally depends upon the bride choice. 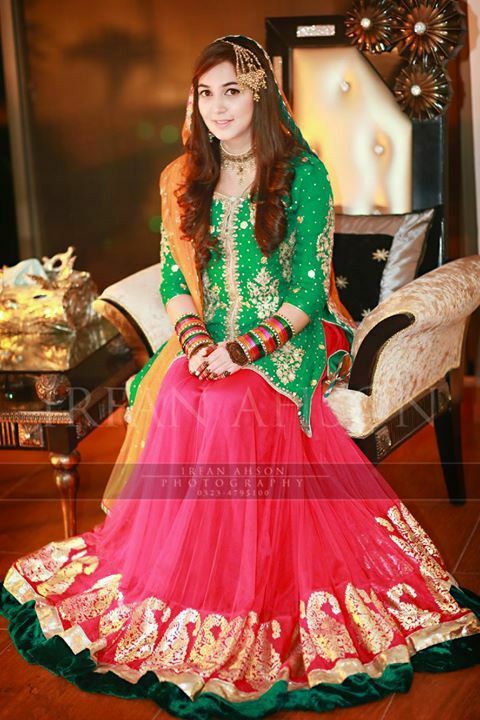 Yellow, green, pink, magenta, orange-colored lehengas or kurta shalwar are most popular. All of the above, yellow dupatta with gota kinari work is the main item for mehndi. 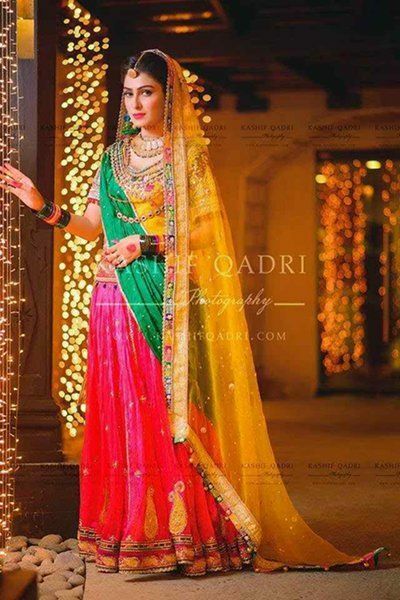 See our off the ramp heavily embroidered bridal Barat dresses and bridal walima dress designs modern collection of 2019. Here is our picture collection for mehndi dress designs. There are many styles for lehengas. Like fishtail lehenga, flared lehenga, and the traditional Hyderabadi style lehenga. Each lehenga has its own stuff and color specifications. You are ready for you wedding but what about your Groom? find our latest mehndi dresses for men ultimate collection. 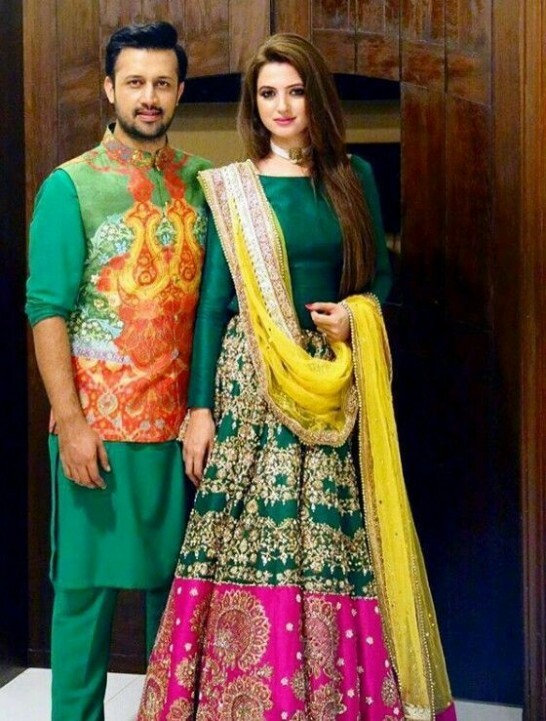 For other events like barat, walima and nikah, find our recent and best collection of men barat dresses and walima dresses foer men 2019. Ghagra cholis appears to be traditional and elegant at the same time. Most of the dresses for example dupattas in this collection are made up of chiffon and the shirt and lehengas are made up of printed jamawars. Some of the dresses have patches of jamawar on the border of lehenga or on the knee of sharara. This is the second most famous dressing style for brides on this gleeful ceremony. Along with wedding melodious songs and cherished memories, the shocking dark colors of ladies frocks create a spellbound. Pakistani designers bridal frocks are now launched in the market. Mehndi event is so extensive that dressing combinations and styles are more than enough. 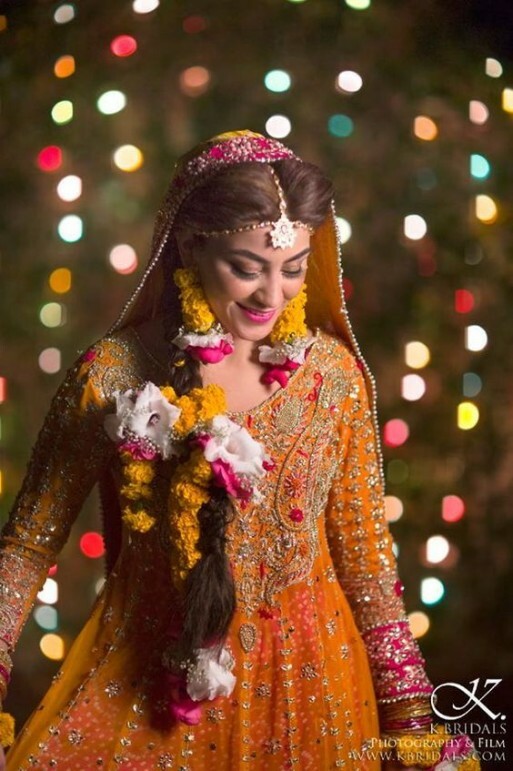 The above Pakistani bridals mehndi dresses collection for 2019 is suggested by our top fashion dress designers. The designers like Asim Jofa, Nomi Ansari, Teena Durrani, Mirusah and Sania Maskatya are famous for women or bridal wedding dress designing. Their recommendations about the mehndi dress selection may help you a lot. These designs are really very thrilling and inspirational for all the brides who are confused about their dress on this big day. So these masterpieces can help you definitely in making your day. Just grab one of them and make your day ever delightful and magnificent.